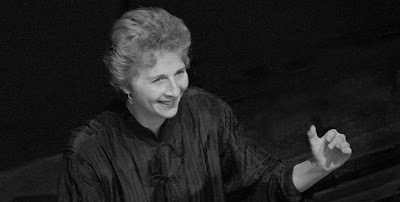 Jane Glover, music director of Music of the Baroque, underwent emergency surgery Wednesday after an attack of appendicitis yesterday morning, and will be replaced for the ensemble’s season-opening concerts. “She had a rough moment but she’s doing okay,” said Karen Fishman, executive director of MOB on Thursday. William Jon Gray, the ensemble’s new chorus director, will replace Glover in the all-Purcell program, featuring performances of Dido and Aeneas Sunday in Evanston and Monday at the Harris Theater. “Jane’s disappointed that she can’t conduct, of course, but we’re fortunate that we have Bill Gray to step in,” said Fishman. For further information, call 312-551-1414 or go to baroque.org.